I’ve been playing Final Fantasy XIII: Lighting Returns. You’ll be getting a review from me ASAP, but suffice it to say that I’m tired of Lightning. However, it seems that I may be in the minority – apparently she’s so popular, that she’ll be seen again in future Final Fantasy games. For Lightning, her story ends here in Lightning Returns: Final Fantasy XIII, as this game is meant as a finale to this series. 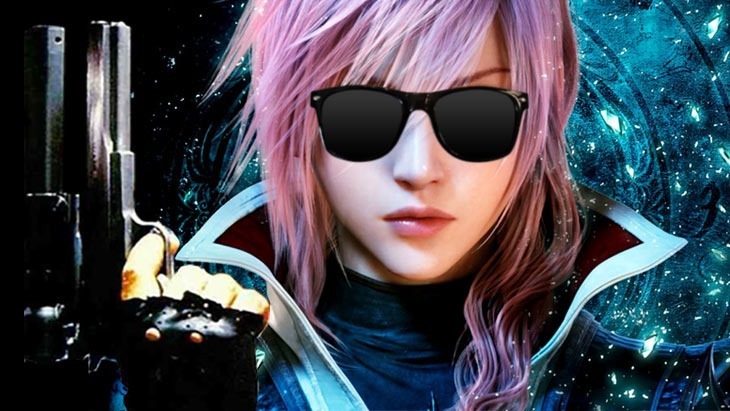 But we know that Lightning is an extremely popular character, even when compared to other Final Fantasy characters. So there is a possibility that Lightning would appear in other future Final Fantasy titles, not as a protagonist, but as a guest character. You have got to be kidding me! There have been so many characters over the course of the Final Fantasy franchise that were way more deserving of this treatment. If those games were made now, just imagine the sequels we could have seen? I would have loved to see more Vincent, Auron or Waka. Imagine a game with more Sephiroth or Jenova? There were so many interesting stories to tell that we only got glimmers of in the original titles – why are we getting so much Lightning when she is the most boring protagonist to date? Meanwhile, at least there’s this pretty Final Fantasy XV trailer to drool over. The combat certainly looks different, again. But really, I’m just drooling over how pretty it looks, as usual with Final Fantasy games.